Arctic Cat and Speedwerx have had a very close relationship for a whole bunch of years, from race engines to concept vehicles to Black Cats sleds to high performance products to...well the list goes on and on. For the first time ever, there are now Speedwerx Hypershift Clutch Kits available for most recent model machines, from all Arctic Cat dealers, and via the online store. 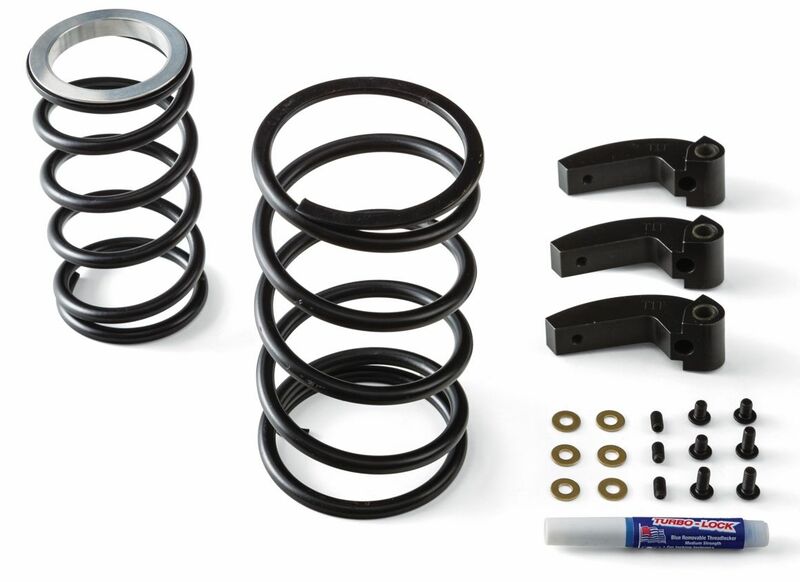 *Kits vary by application, with most featuring adjustable machined weights, H5 alloy drive and driven clutch springs, and a custom-cut helix. * Custom-tuned for many 2018 6000 and 8000 series ZR and M snowmobiles, as well as 2017 8000 series ZR and M machines. * The MSRP ranges from $299.95 to $399.95 U.S./$453.95 - $604.95 Canada. This and other new Arcticwear items are available now at most Arctic Cat dealerships and through HERE at the Arctic Cat online store. What about 2016 ZR 8000 sleds? Anyway to get some top end out of those turds? I miss the good old days when Cat had their clutching spot on. Nowadays all we are doing is spending more money to get better performance from these clutches. Pretty steep prices for us Canadian's eh!